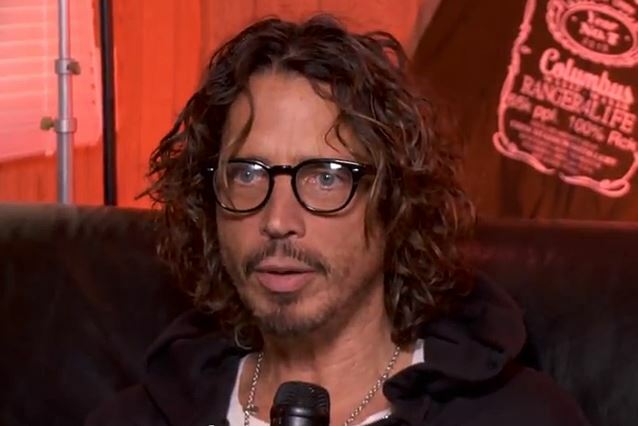 SOUNDGARDEN/ex-AUDIOSLAVE frontman Chris Cornell is in Nashville collaborating with Joy Williams (THE CIVIL WARS) and Charlie Peacock on a song called "Misery Chain", to be included on the soundtrack to the upcoming film "12 Years As A Slave". "12 Years As A Slave" chronicles a pre-Civil War free black man who is kidnapped in New York and sold into slavery. The movie stars Chiwetel Ejiofor, Michael Fassbender and Brad Pitt. Cornell will tour again in the fall, playing a series of intimate "Songbook" shows highlighting songs from throughout his career. This is the first time North American fans will hear acoustic arrangements of songs from 2012's critically acclaimed "King Animal", SOUNDGARDEN's first new studio album in over 16 years. American/Sri Lankan folk artist Bhi Bhiman will open for Chris. For a complete list of tour dates, visit ChrisCornell.com. Cornell has issued three solo albums. The last one, 2009's "Scream", was trashed by critics and fans for abandoning Cornell's rock roots for an urban pop sound.